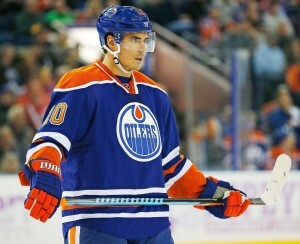 Did Nail Yakupov Request a Trade Out of Edmonton? Perhaps the most public of trade requests this season came from Tampa Bay Lightning forward Jonathan Drouin. From what appeared to start off as a quiet plea turned into an ugly public disconnect between the player and his team resulting in Drouin leaving his AHL team for a brief period. When no trade came to fruition, Drouin eventually reported back to his assignment, but the relationship between him and his team may be beyond repair. Players request trades more than you think, it’s just that we don’t always hear about them. In keeping with the Lightning, long-time member Martin St. Louis wanted out, and his wish was granted. Earlier this season, reports surfaced that Islanders defenceman Travis Hamonic would like to be traded as well, though unlike Drouin, it’s not relating to unhappiness with his playing time. Then of course there was Ryan Kesler a couple of years ago, and Rick Nash before him. High-profile players usually end up having their requests aired to the public. But Drouin’s case was an interesting one, because he was a young player with absolutely no leverage. In the interview, Yakupov talked about living with the expectations of being a high draft pick, among other things. Yakupov was a first overall pick, and a consensus one at that. The Oilers won the right to select him, and no doubt hopes were high for the Russian forward. Number one pick or not, Yakupov had a lot of work to do in order to become a pro, and despite a promising start, his struggles to adapt to the pro game were becoming apparent. If he was drafted at any other number, he likely wouldn’t have started in the NHL right away. He needed some seasoning, but he didn’t get it. He was thrown into an unstable situation, on a young struggling team, with little help around him. Yakupov was in a revolving coaching carousel, and just couldn’t find the consistency he needed. He scored 17 goals and 31 points in 48 games as a rookie, but his production has dipped ever since. This season he has just six goals and 19 points in 56 games. Is there a disconnect between him and head coach Todd McLellan? The interesting thing is that Yakupov dresses for every game, though he doesn’t get prime minutes with quality linemates on a regular basis. Yakupov needs a good centerman in order to flourish. He’s not the kind of player who can make others around him better, at least that’s not what we’ve seen so far. He has trouble making decisions with the puck and looks out of place on many occasions. There is no questioning his skill, however. He has a lazer of a shot, he’s fast, and he can handle the puck in tight spaces. But his confidence is shot, and his spirit has been broken ever since he was called out for a goal celebration back in 2013. Yakupov is the kind of player whom you want to see succeed. He really cares. He wants to play well. But it hasn’t been working in Edmonton, which makes reports of his trade request come as really no surprise. The question is, how hard did the Oilers work to move him? Despite his struggles, Yakupov is still just 22 years old. He has the tools to do well if he’s put in the right situation. He needs to understand that his overall game has to improve. If he’s not ready to be a top-six forward, is he defensively responsible enough to be on the third line? From the Oilers perspective, you don’t want to just give him away. And it’s likely that the offers at the trade deadline were underwhelming. His stock is low. You’re essentially selling potential with not much of a track record. But here’s a thought. As a GM, would you rather have Nail Yakupov, or Jonathan Drouin? What are you willing to give up for either of them? It would be disappointing if the Yakupov era in Edmonton would end like this. It would feel like a wasted pick unless they could get something really good back for him. But what is he worth at this point? You could argue that Yakupov wasn’t given the chance to succeed as an Oiler. You could argue they messed up his development. If he doesn’t fit in their future plans, and if he doesn’t want to stay, there’s not much choice but to make a move. You’d think playing him with McDavid (they had great chemistry to start to season) as a way of showcasing him would make a lot of sense. I’d be really interested to hear what Oilers management has to say about Yakupov. He isn’t the first and he won’t be the last young prospect brimming with talent who just couldn’t make it work with the team that drafted them. Will the Oilers be able to consummate a trade this summer? With the request now public, they’ll probably have to, especially if they don’t plan on playing him consistently with highly skilled linemates. Would Edmonton be able to fetch a second round pick? The Bruins gave up two second-rounders for Brett Connolly, who was a sixth overall pick back in 2010 by the Lightning. You’d think they wouldn’t accept less than a similar return for Yakupov. But this makes the upcoming offseason all the more interesting for the Oilers, as if it wasn’t going to be already.